Washington: NASA's Astrophysics Explorer Program has selected two missions for launch in 2017: a planet-hunting satellite and an International Space Station instrument to observe X-rays from stars. The Transiting Exoplanet Survey Satellite (TESS) and Neutron Star Interior Composition Explorer (NICER) were among four concept studies submitted in September 2012. NASA determined these two offer the best scientific value and most feasible development plans. TESS will use an array of telescopes to perform an all-sky survey to discover transiting exoplanets ranging from Earth-sized to gas giants, in orbit around the nearest and brightest stars in the sky. Its goal is to identify terrestrial planets in the habitable zones of nearby stars. Its principal investigator is George Ricker of the Massachusetts Institute of Technology in Cambridge. NICER will be mounted on the space station and measure the variability of cosmic X-ray sources, a process called X-ray timing, to explore the exotic states of matter within neutron stars and reveal their interior and surface compositions. The principal investigator is Keith Gendreau of NASA's Goddard Space Flight Center in Greenbelt, Md. "The Explorer Program has a long and stellar history of deploying truly innovative missions to study some of the most exciting questions in space science," said John Grunsfeld, NASA's associate administrator for science in Washington. "With these missions we will learn about the most extreme states of matter by studying neutron stars and we will identify many nearby star systems with rocky planets in the habitable zone for further study by telescopes such as the James Webb Space Telescope." NASA's Explorer program is the agency's oldest continuous program and is designed to provide frequent, low-cost access to space using principal investigator-led space science investigations relevant to the Science Mission Directorate’s astrophysics and heliophysics programs. Satellite mission costs are capped at $200 million and space station mission costs are capped at $55 million. The program has launched more than 90 missions. It began in 1958 with the Explorer 1, which discovered the Earth’s radiation belts. Another Explorer mission, the Cosmic Background Explorer, led to a Nobel prize. 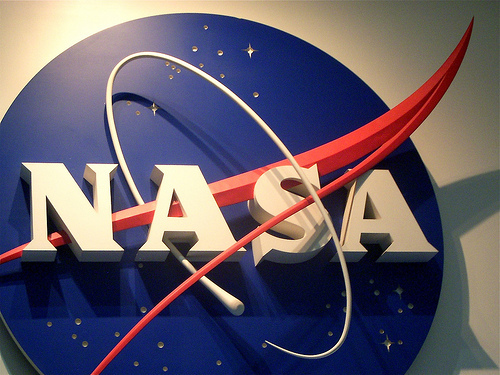 NASA's Goddard Space Flight Center manages the program for the agency's Science Mission Directorate in Washington.